Our lab is doing research in the fields of theoretical/computational chemistry and biophysical chemistry. We are developing efficient computational methods and statistical mechanics tools to study the conformations of biological molecules in aqueous solutions, mechanisms of enzymatic reactions, and the solvation effects in chemical reactions. We are also interested in understanding the chromosome folding principle and gene expression regulatory mechansim. The lab is working on the simulation/theoretical studies of the following systems: (1) thermodynamics, dynamics and kinetics of electrolytes solutions (2) dynamics and spectra calculations for aqueous solutions (3) chemical/enzymatic reactions in solutions/at interfaces (4) the modeling of chromatin spatial structures and studying the relations between structures and important genome features (5) multiscale gene regulation mechansim in cell. 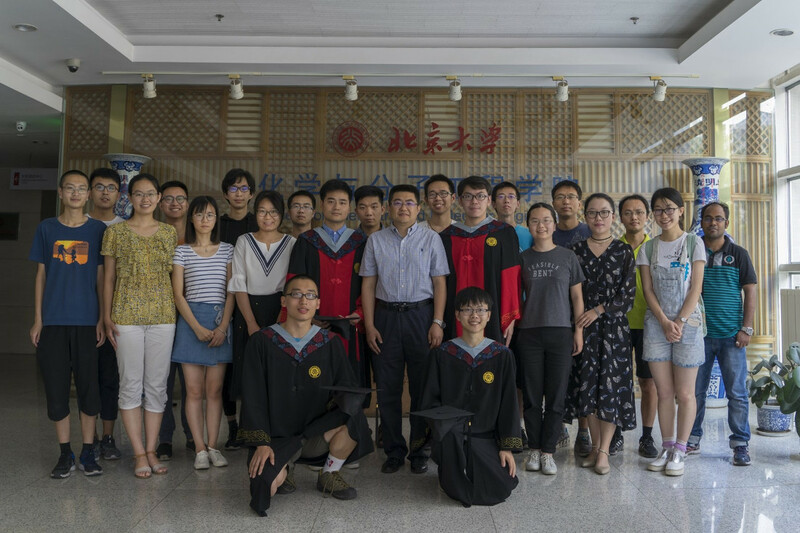 We focus on developing efficent computational methods and statistical mechanics tools to study complex chemical and biological systems. How would electrolytes affect the function of biomolecules? Theoretical models were proposed and tested through MD simulations. How would the sodium-water cluster diffuse on surfaces? STM/AFM combined with quantum/classical mechanics simulations provided a comprehensive understanding. How would cosolvents affect the chemical reactions? 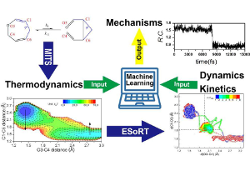 Enhanced sampling combined with machine learning algorithm was used to study the thermodynamics/dynamics/kinetics of the chemical reactions. How would the spatial organization of chromatin affect genome functions? 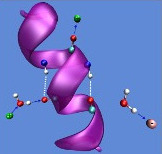 Chromatin was modeled utilizing Hi-C data and important genome features were captured on the structures. 119. Zhang Z, Xie WJ, Yang YI, Sun G, & Gao YQ (2017) Simulation Studies of the Self-Assembly of Halogen-Bonded Sierpinski Triangle Fractals. Acta Phys-Chim Sin 33(3):539. 118. Zhang Q, et al. (2017) The opposite effects of sodium and potassium cations on water dynamics. Chem Sci 8(2):1429-1435. 117. Zhang L, et al. (2017) DNA Methylation Landscape Reflects the Spatial Organization of Chromatin in Different Cells. Biophysical Journal 113(7):1395-1404. 116. Zhang J, et al. (2017) Rich Dynamics Underlying Solution Reactions Revealed by Sampling and Data Mining of Reactive Trajectories. Acs Central Sci 3(5):407-414. 115. Xie WJ, et al. (2017) Structural Modeling of Chromatin Integrates Genome Features and Reveals Chromosome Folding Principle. Sci Rep 7(1):2818. 114. Kan ZG, et al. (2017) Polarization Effects on the Cellulose Dissolution in Ionic Liquids: Molecular Dynamics Simulations with Polarization Model and Integrated Tempering Enhanced Sampling Method. J Phys Chem B 121(17):4319. 113. Hou GL, et al. (2017) Emergence of Solvent-Separated Na+-Cl- Ion Pair in Salt Water: Photoelectron Spectroscopy and Theoretical Calculations. Journal of Physical Chemistry Letters 8(1):13-20. 112. Che X, et al. (2017) Single Mutations Reshape the Structural Correlation Network of the DMXAA-Human STING Complex. J Phys Chem B 121(9):2073-2082. 111. Zhu CX, et al. (2016) Tautomerization-dependent recognition and excision of oxidation damage in base-excision DNA repair. P Natl Acad Sci USA 113(28):7792-7797. 110. Yang YI, Zhang J, Che X, Yang LJ, & Gao YQ (2016) Efficient sampling over rough energy landscapes with high barriers: A combination of metadynamics with integrated tempering sampling. J Chem Phys 144(9). 109. Yang LJ & Gao YQ (2016) Molecular Dynamic Simulations of the Effects of Trimethylamine-N-oxide/Urea Mixture on the Hydration of Single-Walled Carbon Nanotube Interiors. Acta Phys-Chim Sin 32(1):313-320. 108. Yang L, Zhang J, Che X, & Gao YQ (2016) Simulation Studies of Protein and Small Molecule Interactions and Reaction. Method Enzymol 578:169-212. 107. Xie WJ, Zhang Z, & Gao YQ (2016) Ion Pairing in Alkali Nitrate Electrolyte Solutions. J Phys Chem B 120(9):2343-2351. 106. Wang HB, Yang LJ, & Niu XG (2016) Conformation switching of AIM2 PYD domain revealed by NMR relaxation and MD simulation. Biochemical and Biophysical Research Communications 473(2):636-641. 105. Li X, et al. (2016) Direct Oxidation of Aliphatic C-H Bonds in Amino P-Containing Molecules under Transition-Metal-Free Conditions. Org Lett 18(6):1234-1237. 104. Li RZ, et al. (2016) Hydration of potassium iodide dimer studied by photoelectron spectroscopy and ab initio calculations. J Chem Phys 145(18). 103. Li RZ, et al. (2016) Initial hydration behavior of sodium iodide dimer: photoelectron spectroscopy and ab initio calculations. Phys Chem Chem Phys 18(1):557-565. 102. Jin JS, et al. (2016) The effects of cytosine methylation on general transcription factors. Sci Rep-Uk 6. 101. He ZY, et al. (2016) Tuning ice nucleation with counterions on polyelectrolyte brush surfaces. Science Advances 2(6). 100. Fu J, et al. (2016) Structural Characteristics of Homogeneous Hydrophobic Ionic Liquid-HNO3-H2O Ternary System: Experimental Studies and Molecular Dynamics Simulations. J Phys Chem B 120(23):5194-5202. 99. Che X, et al. (2016) Structural Flexibility and Conformation Features of Cyclic Dinucleotides in Aqueous Solutions. J Phys Chem B 120(10):2670-2680. 98. Zhang J, Yang YI, Yang L, & Gao YQ (2015) Dynamics and Kinetics Study of "In-Water" Chemical Reactions by Enhanced Sampling of Reactive Trajectories. J Phys Chem B 119(45):14505-14514. 97. Zhang J, Yang YI, Yang L, & Gao YQ (2015) Conformational Preadjustment in Aqueous Claisen Rearrangement Revealed by SITS-QM/MM MD Simulations. J Phys Chem B 119(17):5518-5530. 96. Yang YI & Gao YQ (2015) Computer Simulation Studies of A beta(37-42) Aggregation Thermodynamics and Kinetics in Water and Salt Solution. J Phys Chem B 119(3):662-670. 95. Yang L, Liu C-W, Shao Q, Zhang J, & Gao YQ (2015) From Thermodynamics to Kinetics: Enhanced Sampling of Rare Events. Accounts Chem Res 48(4):947-955. 94. Xie WJ, Yang YI, & Gao YQ (2015) Dual reorientation relaxation routes of water molecules in oxyanion's hydration shell: A molecular geometry perspective. J Chem Phys 143(22). 93. Wang P, Yang L, Gao YQ, & Zhao XS (2015) Accurate placement of substrate RNA by Gar1 in H/ACA RNA-guided pseudouridylation. Nucleic Acids Res 43(15):7207-7216. 92. Liu C-W & Gao YQ (2015) Understanding the Microsolvation of Salts in Molecular Clusters. International Journal of Quantum Chemistry 115(9):541-544. 91. Guo F, et al. 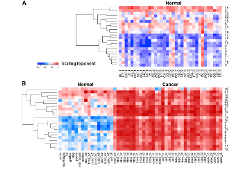 (2015) The Transcriptome and DNA Methylome Landscapes of Human Primordial Germ Cells. Cell 161(6):1437-1452. 90. Gu C, et al. (2015) DNA Structural Correlation in Short and Long Ranges. J Phys Chem B 119(44):13980-13990. 89. Zhao X, et al. (2014) Progress in Biophysical Chemistry 77(7):699-702. 88. Zhang Q, et al. (2014) Pairing preferences of the model mono-valence mono-atomic ions investigated by molecular simulation. J Chem Phys 140(18). 87. Yin Y, et al. 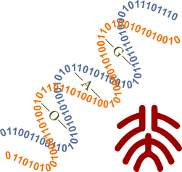 (2014) Dynamics of spontaneous flipping of a mismatched base in DNA duplex. P Natl Acad Sci USA 111(22):8043-8048. 86. Yang M, Yang L, Gao Y, & Hu H (2014) Combine umbrella sampling with integrated tempering method for efficient and accurate calculation of free energy changes of complex energy surface. J Chem Phys 141(4). 85. Xie W, Liu C, Yang L, & Gao Y (2014) On the molecular mechanism of ion specific Hofmeister series. Science China-Chemistry 57(1):36-47. 84. Wu T, Zhang R, Li H, Yang L, & Zhuang W (2014) Discriminating trpzip2 and trpzip4 peptides' folding landscape using the two-dimensional infrared spectroscopy: A simulation study. J Chem Phys 140(5). 83. Markiewicz BN, Yang L, Culik RM, Gao YQ, & Gai F (2014) How Quickly Can a beta-Hairpin Fold from Its Transition State? J Phys Chem B 118(12):3317-3325. 82. Liu C-W, et al. (2014) Stable Salt-Water Cluster Structures Reflect the Delicate Competition between Ion-Water and Water-Water Interactions. J Phys Chem B 118(3):743-751. 81. Liu C-W, Hou G-L, Zheng W-J, & Gao YQ (2014) Adsorption of water molecules on sodium chloride trimer. Theoretical Chemistry Accounts 133(10). 80. Bezrukavnikov S, et al. (2014) Trehalose facilitates DNA melting: a single-molecule optical tweezers study. Soft Matter 10(37):7269-7277. 79. Zhao P, Yang LJ, Gao YQ, & Lu Z-Y (2013) Facile implementation of integrated tempering sampling method to enhance the sampling over a broad range of temperatures. Chemical Physics 415:98-105. 78. Zhang Q, et al. (2013) Microscopic Origin of the Deviation from Stokes-Einstein Behavior Observed in Dynamics of the KSCN Aqueous Solutions: A MD Simulation Study. J Phys Chem B 117(10):2992-3004. 77. Xu X, et al. 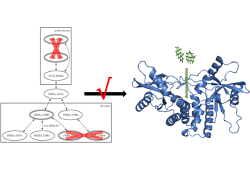 (2013) Modeling Spatial Correlation of DNA Deformation: DNA Allostery in Protein Binding. J Phys Chem B 117(42):13378-13387. 76. Xie WJ & Gao YQ (2013) A Simple Theory for the Hofmeister Series. Journal of Physical Chemistry Letters 4(24):4247-4252. 75. Xie WJ & Gao YQ (2013) Ion cooperativity and the effect of salts on polypeptide structure - a molecular dynamics study of BBA5 in salt solutions. Faraday Discussions 160:191-206. 74. Wang P, Yang L, Liu P, Gao YQ, & Zhao XS (2013) Single-Molecule Detection Reveals Knot Sliding in TrmD Denaturation. Chemistry-a European Journal 19(19):5909-5916. 73. Li R-Z, et al. (2013) Microsolvation of LiI and CsI in Water: Anion Photoelectron Spectroscopy and ab initio Calculations. Journal of the American Chemical Society 135(13):5190-5199. 72. Kim S, et al. (2013) Probing Allostery Through DNA. Science 339(6121):816-819. 71. Yang L, Shao Q, & Gao Y (2012) Enhanced Sampling Method in Molecular Simulations. Progress in Chemistry 24(6):1199-1213. 70. Shao Q, Zhu W, & Gao YQ (2012) Robustness in Protein Folding Revealed by Thermodynamics Calculations. J Phys Chem B 116(47):13848-13856. 69. Shao Q & Gao YQ (2012) Water plays an important role in osmolyte-induced hairpin structure change: A molecular dynamics simulation study. J Chem Phys 137(14). 68. 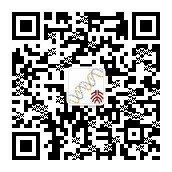 Shao Q, Fan Y, Yang L, & Gao YQ (2012) Counterion Effects on the Denaturing Activity of Guanidinium Cation to Protein. Journal of Chemical Theory and Computation 8(11):4364-4373. 67. Shao Q, Fan Y, Yang L, & Gao YQ (2012) From protein denaturant to protectant: Comparative molecular dynamics study of alcohol/protein interactions. J Chem Phys 136(11). 66. Shao Q, Fan Y, Yang L, & Gao YQ (2012) From protein denaturant to protectant: comparative molecular dynamics study of alcohol/protein interactions. The Journal of chemical physics 136(11):115101-115101. 65. Lyu Z-X, Shao Q, Gao YQ, & Zhao XS (2012) Direct Observation of the Uptake of Outer Membrane Proteins by the Periplasmic Chaperone Skp. Plos One 7(9). 64. Gao YQ (2012) Simple Theory for Salt Effects on the Solubility of Amide. J Phys Chem B 116(33):9934-9943. 63. Chen L, Gao YQ, & Russell DH (2012) How Alkali Metal Ion Binding Alters the Conformation Preferences of Gramicidin A: A Molecular Dynamics and Ion Mobility Study. Journal of Physical Chemistry A 116(1):689-696. 62. Cao Q, et al. 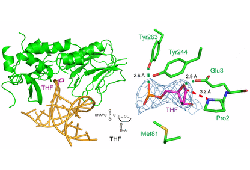 (2012) Inhibitory Mechanism of Caspase-6 Phosphorylation Revealed by Crystal Structures, Molecular Dynamics Simulations, and Biochemical Assays. Journal of Biological Chemistry 287(19):15371-15379. 61. Bian H, et al. (2012) Ion Segregation in Aqueous Solutions. J Phys Chem B 116(49):14426-14432. 60. Yang L, Fan Y, & Gao YQ (2011) Differences of Cations and Anions: Their Hydration, Surface Adsorption, and Impact on Water Dynamics. J Phys Chem B 115(43):12456-12465. 59. Shao Q, Yang L, & Gao YQ (2011) Structure change of beta-hairpin induced by turn optimization: An enhanced sampling molecular dynamics simulation study. J Chem Phys 135(23). 58. Shao Q & Gao YQ (2011) The relative helix and hydrogen bond stability in the B domain of protein A as revealed by integrated tempering sampling molecular dynamics simulation. J Chem Phys 135(13). 57. Hwang S, Shao Q, Williams H, Hilty C, & Gao YQ (2011) Methanol Strengthens Hydrogen Bonds and Weakens Hydrophobic Interactions in Proteins - A Combined Molecular Dynamics and NMR study. J Phys Chem B 115(20):6653-6660. 56. Gao YQ (2011) Simple Theoretical Model for Ion Cooperativity in Aqueous Solutions of Simple Inorganic Salts and Its Effect on Water Surface Tension. J Phys Chem B 115(43):12466-12472. 55. Chen L, Shao Q, Gao Y-Q, & Russell DH (2011) Molecular Dynamics and Ion Mobility Spectrometry Study of Model beta-Hairpin Peptide, Trpzip1. Journal of Physical Chemistry A 115(17):4427-4435. 54. Yang L & Gao YQ (2010) Effects of Cosolvents on the Hydration of Carbon Nanotubes. Journal of the American Chemical Society 132(2):842-848. 53. Wei H, Yang L, & Gao YQ (2010) Mutation of Charged Residues to Neutral Ones Accelerates Urea Denaturation of HP-35. J Phys Chem B 114(36):11820-11826. 52. Wei H, Shao Q, & Gao YQ (2010) The effects of side chain hydrophobicity on the denaturation of simple beta-hairpins. Phys Chem Chem Phys 12(32):9292-9299. 51. Wei H, Fan Y, & Gao YQ (2010) Effects of Urea, Tetramethyl Urea, and Trimethylamine N-Oxide on Aqueous Solution Structure and Solvation of Protein Backbones: A Molecular Dynamics Simulation Study. J Phys Chem B 114(1):557-568. 50. Tsai P-C, et al. (2010) Structural Determinants for the Stereoselective Hydrolysis of Chiral Substrates by Phosphotriesterase. Biochemistry 49(37):7988-7997. 49. Shao Q, Wei H, & Gao YQ (2010) Effects of Turn Stability and Side-Chain Hydrophobicity on the Folding of beta-Structures. Journal of Molecular Biology 402(3):595-609. 48. Shao Q & Gao YQ (2010) Temperature Dependence of Hydrogen-Bond Stability in beta-Hairpin Structures. Journal of Chemical Theory and Computation 6(12):3750-3760. 47. Lund L, Fan Y, Shao Q, Gao YQ, & Raushel FM (2010) Carbamate Transport in Carbamoyl Phosphate Synthetase: A Theoretical and Experimental Investigation. Journal of the American Chemical Society 132(11):3870-3878. 46. Fan Y-B & Gao Y-Q (2010) Coorperativity between Metals, Ligands and Solvent: a DFT Study on the Mechanism of a Dizinc Complex-Mediated Phosphodiester Cleavage. Acta Phys-Chim Sin 26(4):1034-1042. 45. Fan Y & Gao YQ (2010) Long-Range Effects of Confinement on Water Structure. J Phys Chem B 114(12):4246-4251. 44. Zegarra FC, Peralta GN, Coronado AM, & Gao YQ (2009) Free energies and forces in helix-coil transition of homopolypeptides under stretching. Phys Chem Chem Phys 11(20):4019-4024. 43. Yang L, Shao Q, & Gao YQ (2009) Comparison between integrated and parallel tempering methods in enhanced sampling simulations. J Chem Phys 130(12). 42. Yang L, Shao Q, & Gao YQ (2009) Thermodynamics and Folding Pathways of Trpzip2: An Accelerated Molecular Dynamics Simulation Study. J Phys Chem B 113(3):803-808. 41. Yang L & Gao YQ (2009) A selective integrated tempering method. J Chem Phys 131(21). 40. 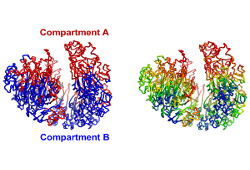 Shao Q, Yang L, & Gao YQ (2009) A test of implicit solvent models on the folding simulation of the GB1 peptide. J Chem Phys 130(19). 39. Mu Y & Gao YQ (2009) Self-assembly of polypeptides into left-handedly twisted fibril-like structures. Physical Review E 80(4). 38. Fernandez-Lima FA, Wei H, Gao YQ, & Russell DH (2009) On the Structure Elucidation Using Ion Mobility Spectrometry and Molecular Dynamics. Journal of Physical Chemistry A 113(29):8221-8234. 37. Fan Y, Lund L, Shao Q, Gao Y-Q, & Raushel FM (2009) A Combined Theoretical and Experimental Study of the Ammonia Tunnel in Carbamoyl Phosphate Synthetase. Journal of the American Chemical Society 131(29):10211-10219. 36. Fan Y, Chen X, Yang L, Cremer PS, & Gao YQ (2009) On the Structure of Water at the Aqueous/Air Interface. J Phys Chem B 113(34):11672-11679. 35. Gao YQ, Yang L, Fan Y, & Shao Q (2008) Thermodynamics and kinetics simulations of multi-time-scale processes for complex systems. International Reviews in Physical Chemistry 27(2):201-227. 34. Gao YQ (2008) Self-adaptive enhanced sampling in the energy and trajectory spaces: Accelerated thermodynamics and kinetic calculations. J Chem Phys 128(13). 33. Gao YQ (2008) An integrate-over-temperature approach for enhanced sampling. J Chem Phys 128(6). 32. Fan Y, Lund L, Yang L, Raushel FM, & Gao Y-Q (2008) Mechanism for the transport of ammonia within carbamoyl phosphate synthetase determined by molecular dynamics Simulations. Biochemistry 47(9):2935-2944. 31. Yang L, Grubb MP, & Gao YQ (2007) Application of the accelerated molecular dynamics simulations to the folding of a small protein. J Chem Phys 126(12). 30. Yang L & Gao YQ (2007) An approximate method in using molecular mechanics simulations to study slow protein conformational changes. J Phys Chem B 111(11):2969-2975. 29. Wu Y, Gao YQ, & Karplus M (2007) A kinetic model of coordinated myosin V. Biochemistry 46(21):6318-6330. 28. Shao Q & Gao YQ (2007) Asymmetry in kinesin walking. Biochemistry 46(31):9098-9106. 27. Mu Y & Gao YQ (2007) Effects of hydrophobic and dipole-dipole interactions on the conformational transitions of a model polypeptide. J Chem Phys 127(10). 26. Gao YQ & Marcus RA (2007) An approximate theory of the ozone isotopic effects: Rate constant ratios and pressure dependence. J Chem Phys 127(24). 25. Fu X, Yang L, & Gao YQ (2007) Selective sampling of transition paths. J Chem Phys 127(15). 24. Fan Y & Gao YQ (2007) A DFT study on the mechanism of phosphodiester cleavage mediated by monozinc complexes. Journal of the American Chemical Society 129(4):905-913. 23. Shao Q & Gao YQ (2006) On the hand-over-hand mechanism of kinesin. P Natl Acad Sci USA 103(21):8072-8077. 22. Gao YQ & Yang L (2006) On the enhanced sampling over energy barriers in molecular dynamics simulations. J Chem Phys 125(11). 21. Gao YQ (2006) Simple theoretical model explains dynein's response to load. Biophysical Journal 90(3):811-821. 20. Karplus M, Gao YQ, Ma JP, van der Vaart A, & Yang W (2005) Protein structural transitions and their functional role. Philosophical Transactions of the Royal Society of London Series a-Mathematical Physical and Engineering Sciences 363(1827):331-355. 19. Gao YQ, Yang W, & Karplus M (2005) A structure-based model for the synthesis and hydrolysis of ATP by F-1-ATPase. Cell 123(2):195-205. 18. Karplus M & Gao YQ (2004) Biomolecular motors: the F-1-ATPase paradigm. Current Opinion in Structural Biology 14(2):250-259. 17. Yang W, Gao YQ, Cui Q, Ma J, & Karplus M (2003) The missing link between thermodynamics and structure in F1-ATPase. P Natl Acad Sci USA 100(3):874-879. 16. Gao YQ, Yang W, Marcus RA, & Karplus M (2003) A model for the cooperative free energy transduction and kinetics of ATP hydrolysis by F-1-ATPase. P Natl Acad Sci USA 100(20):11339-11344. 15. Gao YQ & Marcus RA (2002) Theoretical investigation of the directional electron transfer in 4-aminonaphthalimide compounds. Journal of Physical Chemistry A 106(10):1956-1960. 14. Gao YQ & Marcus RA (2002) On the theory of the strange and unconventional isotopic effects in ozone formation. J Chem Phys 116(1):137-154. 13. Gao YQ, Chen WC, & Marcus RA (2002) A theoretical study of ozone isotopic effects using a modified ab initio potential energy surface. J Chem Phys 117(4):1536-1543. 12. Marcus RA & Gao YQ (2001) Pressure effects on bimolecular recombination and unimolecular dissociation reactions. J Chem Phys 114(22):9807-9812. 11. Gosavi S, Gao YQ, & Marcus RA (2001) Temperature dependence of the electronic factor in the nonadiabatic electron transfer at metal and semiconductor electrodes. Journal of Electroanalytical Chemistry 500(1-2):71-77. 10. Gao YQ & Marcus RA (2001) Application of the z-transform to composite materials. J Chem Phys 115(21):9929-9934. 9. Gao YQ & Marcus RA (2001) Strange and unconventional isotope effects in ozone formation. Science 293(5528):259-263. 8. Gao YQ & Marcus RA (2000) On the theory of electron transfer reactions at semiconductor/liquid interfaces. II. A free electron model. J Chem Phys 113(15):6351-6360. 7. Gao YQ, Georgievskii Y, & Marcus RA (2000) On the theory of electron transfer reactions at semiconductor electrode/liquid interfaces. J Chem Phys 112(7):3358-3369. 6. 吴国胜，等 (1997) 四氢呋喃的同步辐射光电离研究 物理化学学报 13(2):188-188. 5. 陈文武，等 (1997) 噻吩和吡啶的同步辐射光电离解离 化学物理学报 10(5):385-385. 4. Wang DX, et al. (1996) HeI photoelectron spectroscopic (PES) studies of the electronic structure for alkyl nitrites CH3(CH2)(n)ONO (n=0, 1, 2, 3). Journal of Electron Spectroscopy and Related Phenomena 82(1-2):19-22. 3. Wang DX, et al. (1996) HeI photoelectron spectroscopic (PES) studies of the electronic structure of Al(CH3)(3), In(C2H5)(3) and Cd(CH3)(2) compounds. Chemical Physics Letters 260(1-2):95-98. 2. Li S, et al. (1996) Het Photoelectron Spectroscopic Study of the Electronic Structure on B(OCH3)(3). Acta Phys-Chim Sin 12(7):641-643. 1. 陈文武，等 (1996) 六氢吡啶团簇的研究 物理化学学报 12(12):1067-1067. "DNA Methylation Landscape Reflects the Spatial Organization of Chromatin in Different Cells." "Rich Dynamics Underlying Solution Reactions Revealed by Sampling and Data Mining of Reactive Trajectories." Zhang J, et al. (2017) Acs Central Sci 3:407. "Structural Modeling of Chromatin Integrates Genome Features and Reveals Chromosome Folding Principle." Xie WJ, et al. (2017) Sci Rep 7:2818. "Single Mutations Reshape the Structural Correlation Network of the DMXAA-Human STING Complex." Che X, et al. (2017) J Phys Chem B 121:2073. "Tautomerization-dependent recognition and excision of oxidation damage in base-excision DNA repair." Zhu CX, et al. (2016) PNAS 113:7792. 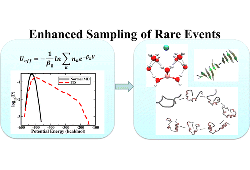 "From Thermodynamics to Kinetics: Enhanced Sampling of Rare Events." Yang L, et al. (2015) Accounts Chem Res 48:947.